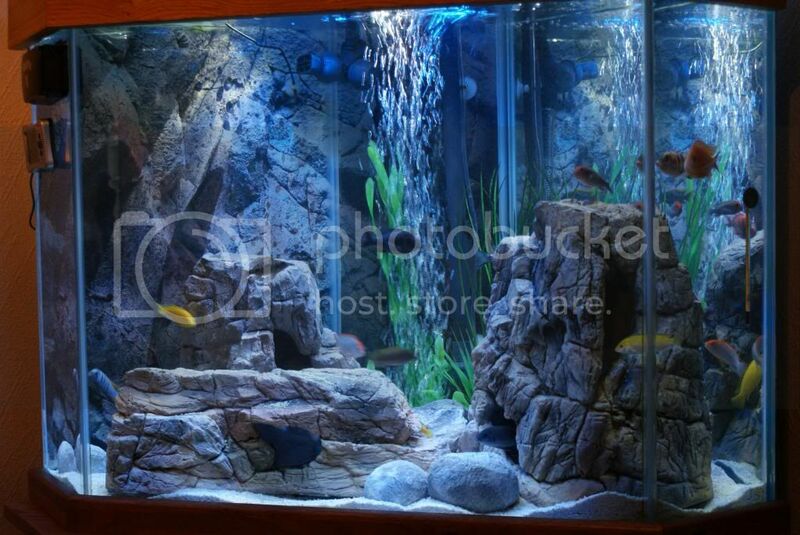 African Cichlid Forum • View topic - Some of the common rock type for your aquarium. Some of the common rock type for your aquarium. Not sure to whether they are suitable but I'd have thought that they would discolour the water. Re: Some of the common rock type for your aquarium. joking aside ,I knew a guy that did an aquascape many years ago in a species only Blind cave fish tank ,but never see it done for a Malawi tank. I've known a couple of people use it in mbuna grow tanks. Had to wash it really well as it can be dusty but they never had any problems. Some fantastic tanks - I look on with jealousy at their natural looks. As my tank is only 150L I didn't want to lose water thru displacement by heavy rocks so have gone the artificial route. It was either get a tank this size or get a divorce! Now wishing I'd thought more about the answer!! 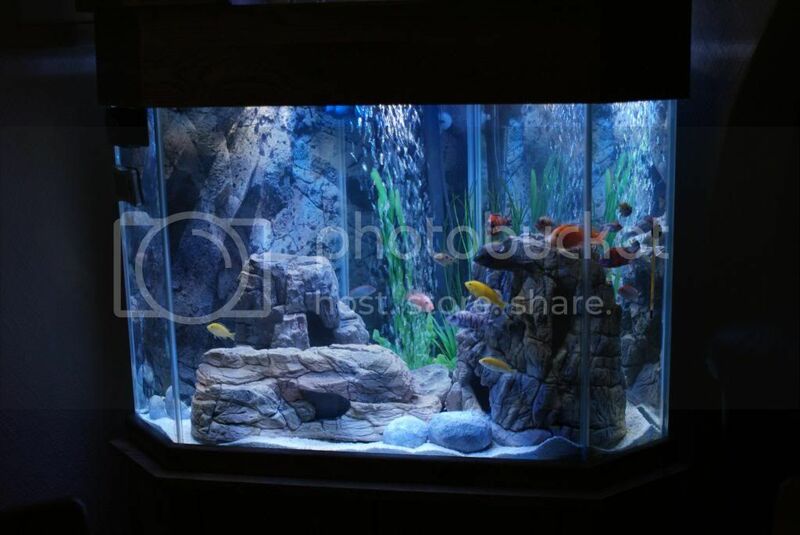 I love the look of your tank, I always wanted to go the artificial rock route but they are so expensive. i agree but i didn't think i had any choice based on what i wanted to do. I have gone for artificial ocean rock by Unipac. Very expensive but looks very realistic, easy to move about to clean etc, a lot smoother than real ocean rock and water displacement is minimal. Maidenhead aquatics are local stockists.